And the final part of our respite weekend! 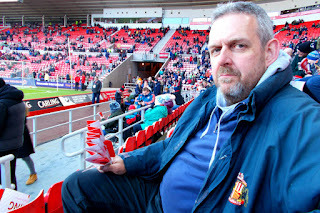 The whole reason we chose Sunderland was so Jeff could watch his beloved Sunderland Athletic Football Club. Which he did, as you can see :) I also got to find a couple more snow dogs so everyone's a winner! There was a complete power outage for about 10 minutes and the stands resembled a music concert with everyone lighting their phones. 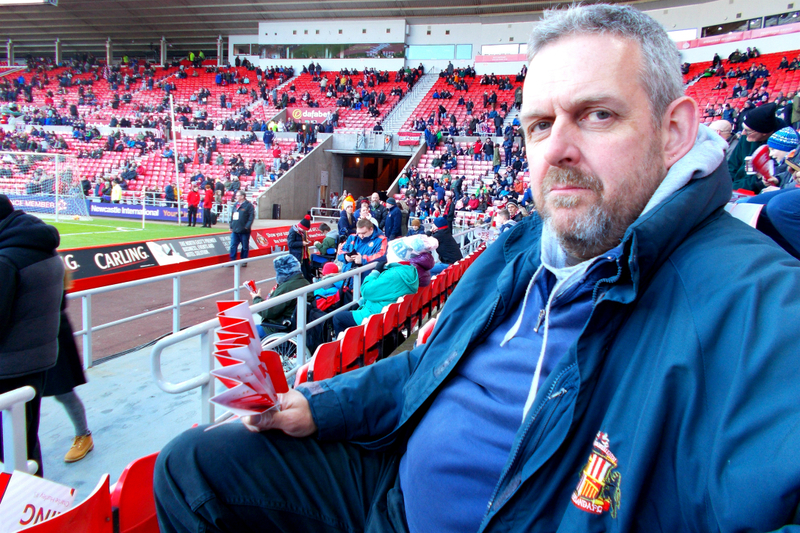 Coupled with a large number of fans singing "We're Sunderland, we'll play in the dark!" it made for a memorable match. Pretty brilliant weekend - hoping we don't have to wait 15 years for the next one! The cell phone has indeed replaced the lighter! Glad it was a good time.